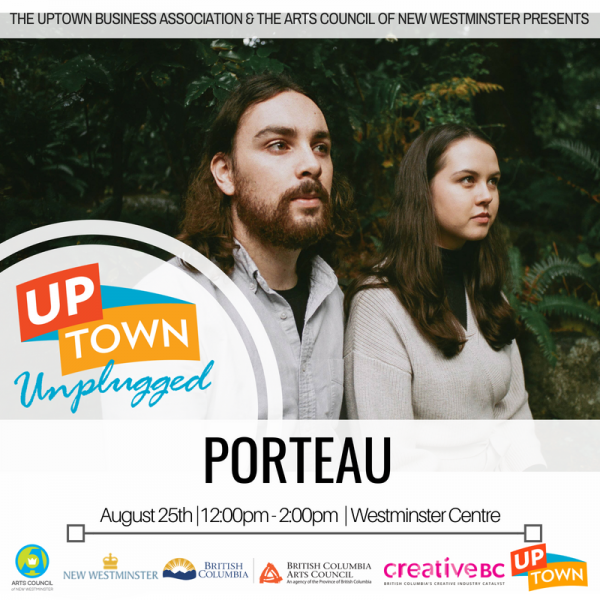 Porteau is an indie folk band led by Victoria Williams and Craig Stevenson. 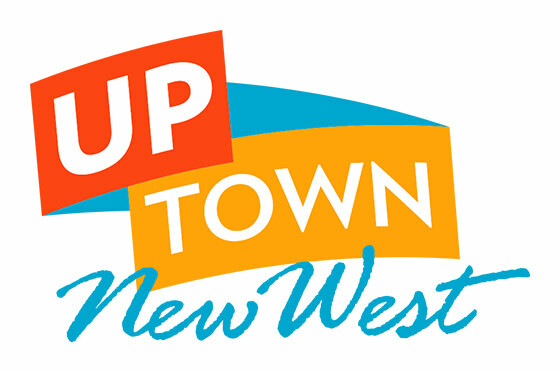 The duo began writing songs while living in Montreal, daydreaming of summer drives on the Sea to Sky highway. They are currently recording their debut album, Water’s Gate, a thematic collection of songs set for release this summer. With lyrics steeped in folklore, they use their surrounding West Coast landscape as a backdrop to explore and unearth stories of human nature. 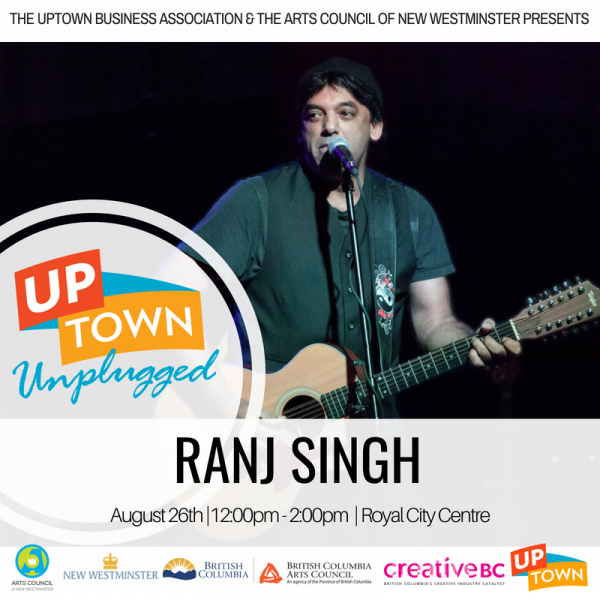 One of your local favourites Ranj Singh returns to Royal City Centre on Sunday! Self-taught singer/songwriter Ranj Singh has a very unique voice and 12 string guitarmanship. His music is a masala of Indian melodies with Western Folk, a genre he calls his own as Indo-Folk-Music.